We’ve been exactly where you are, James: looking at all the options and scratching our heads, wondering the very best way to safely — and easily — store all of the digital photos we’ve snapped across our various phones, tablets and cameras. 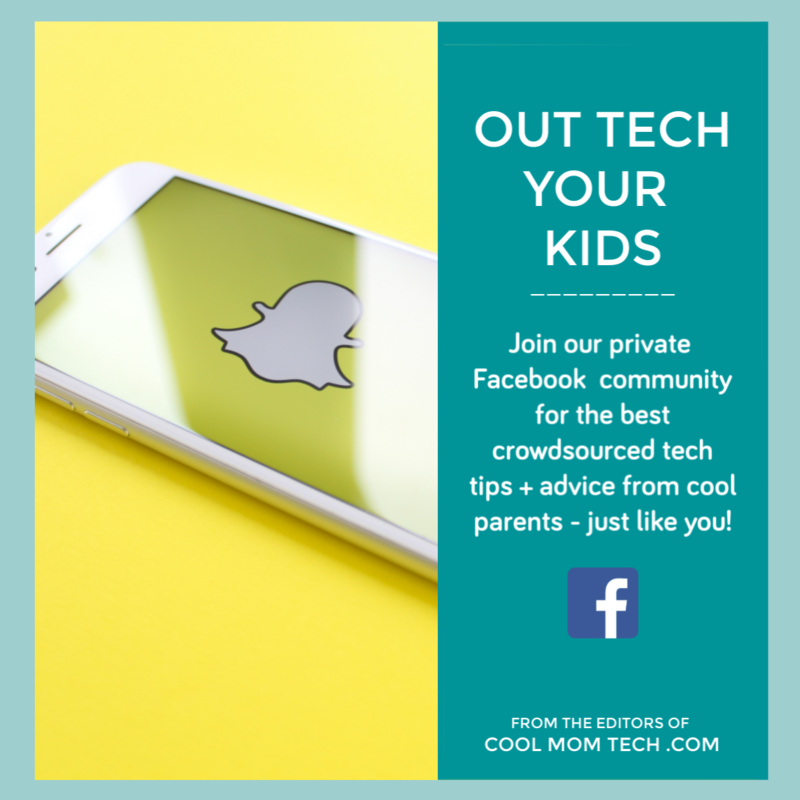 Considering the sheer volume of pics the average parent has on our phones alone, then add that to photos that the kids may be taking or relatives are sharing? Smart photo storage solutions are necessary. 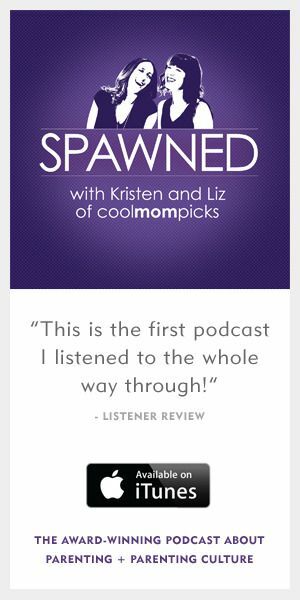 That’s why we try to stay on top of the newest and very best for our readers. Here are 6 stellar photo storage options and apps to consider. They’re each a little different, each with some amazing benefits. We hope one of them fits your own family’s needs. Related: Picjoy: Because one way to help with a photo organization problem is to have an app do it for you. Even if your entire family is on different operating systems and devices, one thing you may all have in common these days is a Google account. 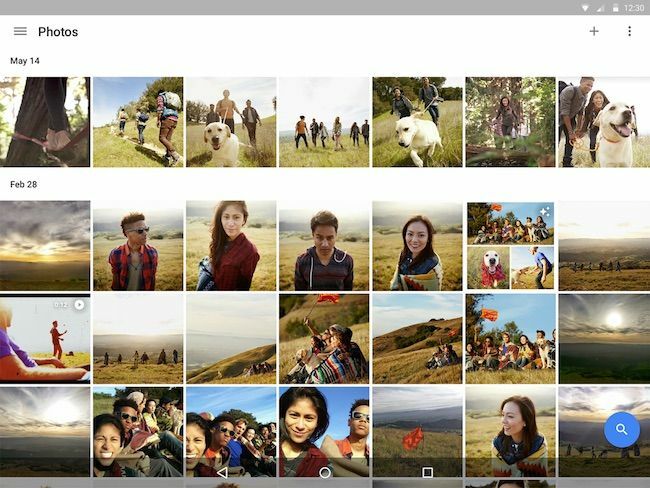 That makes Google Photos one neat, convenient space where you can store all of your digital photos. And when I say all, I mean it; you can store unlimited, high-quality photos and videos on this excellent server for free. Also, Google Photos works behind the scenes to make sure that there’s always space available for you to store more snaps of your kids doing whatever adorable and amazing things they’re doing, thanks to a smart feature that monitors your phone to see when you’re about to run out of memory. The app then figures out which images are duplicates that you’ve already backed up and gives you the option to automatically delete only the copies already saved on the phone and the cloud to help you free up space. Not a totally unique feature, but still a helpful one. If you already have an Amazon Prime account, the Amazon Cloud Drive is definitely worth a look, since you already have it free, even if you don’t know it. 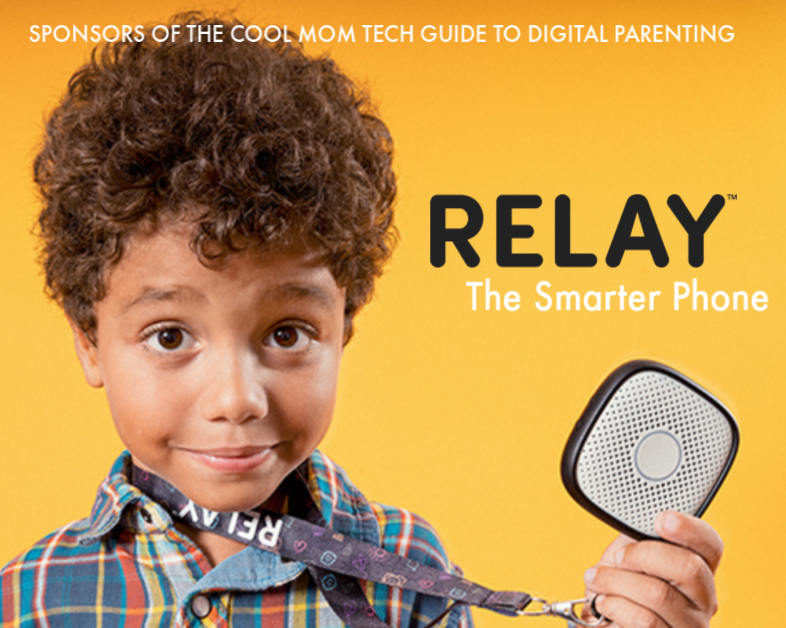 I got to know it better this year when they partnered with Cool Mom Tech for a fun event and since then, have found it’s a fast, easy option when it comes to securely backing up and storing all our existing photos and videos. You can even create a Family Library to share content in your household among up to two adults (each with their own separate Amazon accounts) plus four children, who are folded into the existing account. 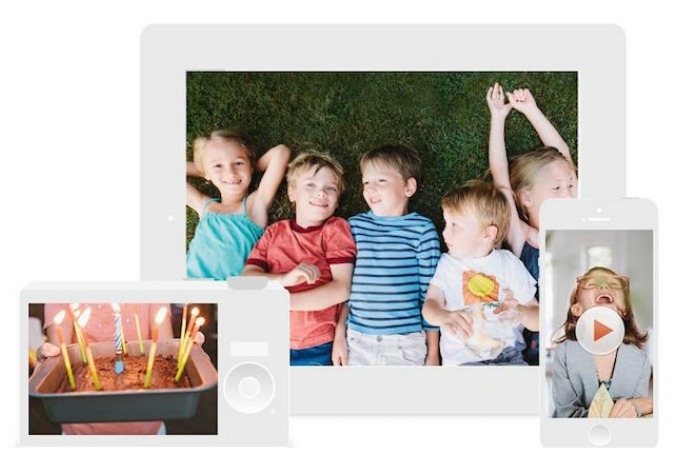 All pics are safely stashed in the cloud and easily accessible across all devices, whether you log on from your computer or download the free Amazon Cloud Drive Photos app on Android or iOS devices. Plus, there’s an auto-upload feature that’s super convenient. If you’re not a Prime member, Amazon Cloud Drive will cost you $59.99 a year — which means you might as well go ahead and sign up for Prime and get all the other benefits too. Then you’ll have unlimited photo storage, plus an additional 5GB of storage for other kinds of files like videos, movies, and documents, which you can upgrade to unlimited as well for just $1 a month. We’ve raved about this photo storage and management service in the past (also shown at very top), from a company that was one of the earliest cloud-based services, and has really worked on optimizing and improving it over the years. (Or decades, really.) First off, it’s a place for you to store both photos and videos. Adding to that? ThisLife automatically updates your media library across all platforms, and recognizes and deletes duplicates for you easily. It’s kind of like ThisLife already knows the best way to help you out, then just does it. When it comes to photos, you’ll get free and unlimited storage. However, for videos, there’s a three-tiered pricing plan, starting with 60GB (about 1,000 videos) for $19.99 and going up to $139.99 per year for unlimited videos. I know that sounds hefty but it’s really just about 12 bucks a month and for those of you with tons of photos, it’s worth a look. One caveat: The service recently did away with its Joint Account feature. So now the only way a family member can add photos to your account is if you make them a “contributor” to a shared album, which is definitely an extra step if you’re trying to gather lots of photos from the fam’s various computers and phones. 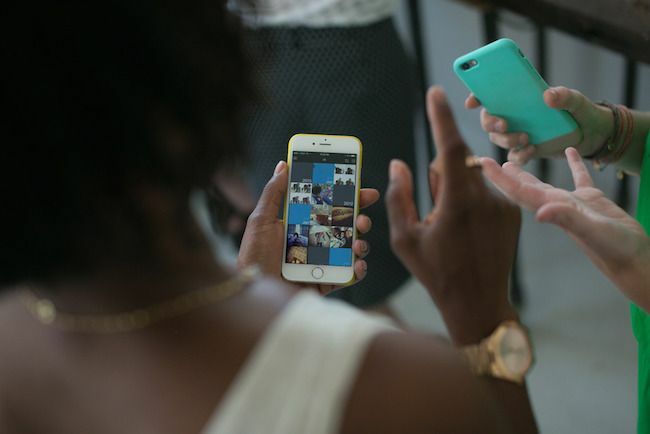 Related: Essential tips and apps to help organize your digital photos. Finally! Mylio is a neat subscription service that understands that your photos live in more than your photo library these days. 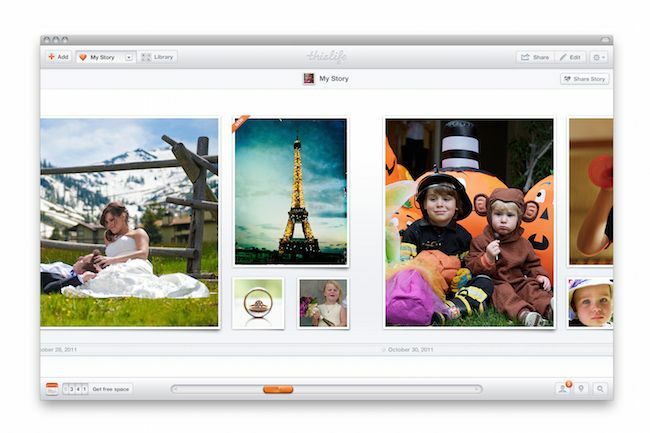 In fact, it lets you collect absolutely all of your photos — imported from smartphones, Facebook, Flickr, dSLR cameras, CDs, DVDs, hard drives, memory cards — in one clean, streamlined space, completely with automatic backups of your entire collection. The service lets you sync, share and edit your pics seamlessness between devices, even when you’re offline. Plus, your photos are automatically imported and made part of your library the instant you snap it. And finding that one specific photo is really easy with its smart search filters: use dates, people, locations, keywords or tags and skip the endless scrolling! There are three pricing plans for the service starting with Basic, which will run you around $4 a month and lets you sync up to three devices and store a total of 50,000 photos. For snap-happy families however, the best bet might be the Advanced service, which allows for up to 12 connected devices and stores up to 100,000 photos for around $21 a month. Of course, starting with the 30-day free trial is always wise. We’re longtime fans of Dropbox which is such a smart and easy way to stash and share files, large and small, right along with (or maybe especially) all those digital photos. 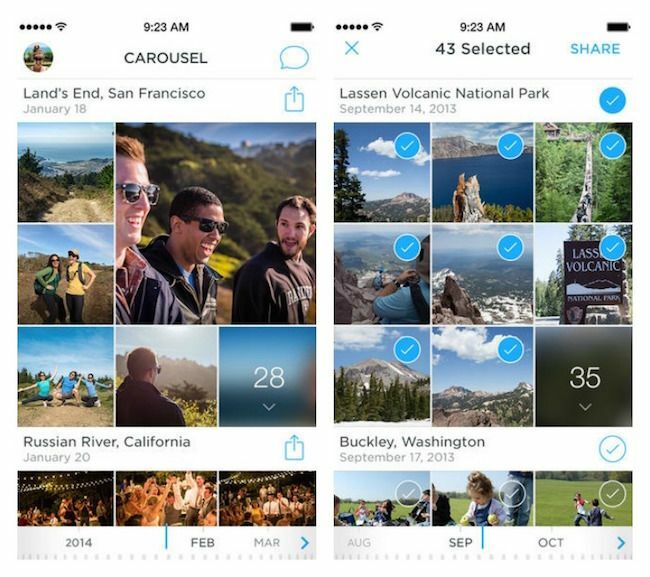 Then came the Carousel by Dropbox app a few years ago and that puts us all firmly in Team Dropbox for a viable photo storage and sharing option. With Carousel, as soon as you snap a photo with your smartphone, it’s automatically imported into the system and kept safe, since it’s all auto-backed up without you having to do a thing. Really. No downloading or importing or attaching — nada. And you can access your photos instantly online from your computer, phone or tablet. So if heaven forbid your iPhone gets lost or your Galaxy Tab gets toddler’d (a.k.a. dropped in the toilet or tub), your photos are safe … and dry. If not your tablet. Editor’s note: Unfortunately, Carousel by Dropbox is no longer available. 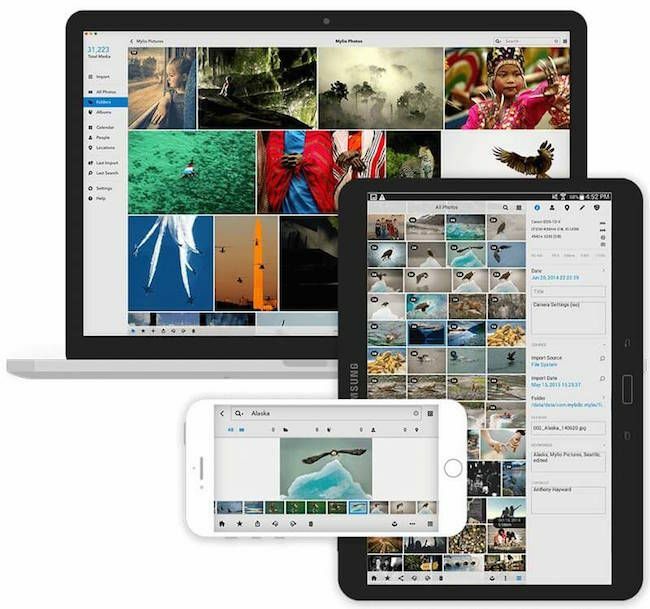 We wanted to include one smart option for you that’s a combo of hardware and cloud storage, and makes a whole lot of sense, since backing up photos in multiple places is just a smart best practice these days. If your’e a serious photo hoarder like Jeana, who tried this system out just a few weeks ago, this could be a perfect solution. 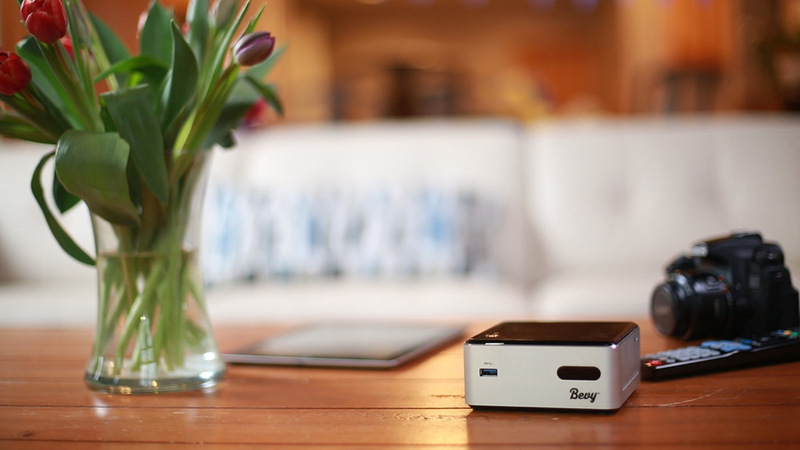 You just plug in the sleek, 1TB or 2TB Bevy storage device, connect to your WiFi network, and then the apps do the rest for you. You can save up to 40,000 photos (!) manually, or our choice — set it up to automatically upload photos right as you take them, without you even knowing it. Plus it’s great for multi-platform families, since you can sync it easily from Windows Computers, Macs, and both iOS and Android mobile devices. One drawback is that there’s no video support just yet; this is pure for photos. Also, only family members on your local network have complete access if they use an assigned privacy key. That makes it perfect for your household, but when it comes to the grandparents across the country, you’ll have to manually share with them. Also, this solution is all about the upfront cost — you’re paying $299 for the 1TB drive, but with no subscription fees, it could pay for itself in a couple of years, with the added security of a hardware backup of photos. That, as the cliche goes, as priceless. While we haven’t yet had a chance to try this ourselves, we have to mention the Lyve app which was one of our favorite new tech finds at CES this year. 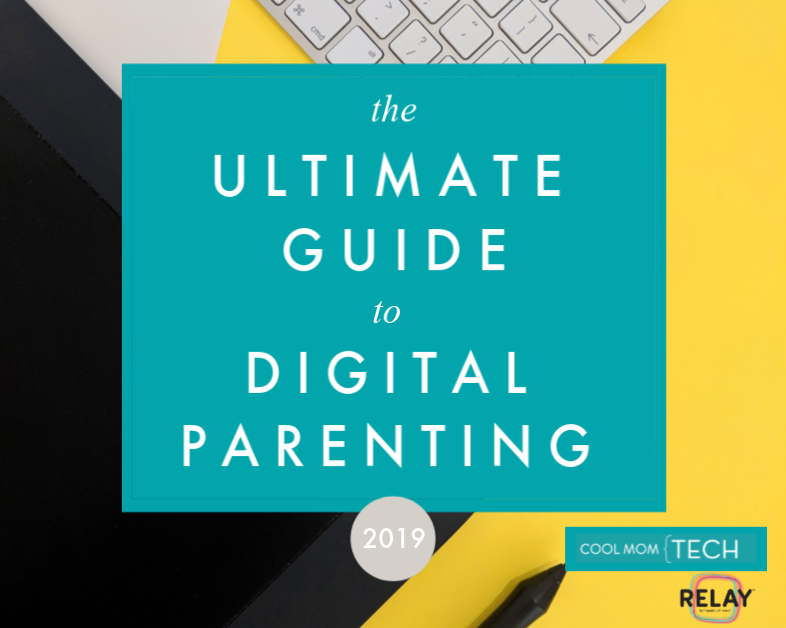 From the demo alone, we think it’s worth a good look for families in part because it really does work across all platforms — iOS, Android, Kindle Fire, Macs, and Window PCs. The app interface is simply spectacular, clean and well-organized, in a way that could influence how similar services take on photo organization. (Not surprisingly, it was designed by a former Apple developer.) 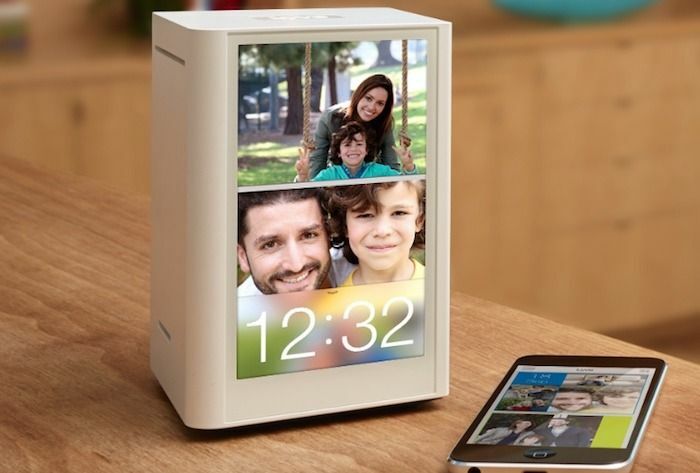 It offers auto-import from your devices, shared albums with friends and family, and if you check out the Lyve hardware options, you’ll want to consider the 2TB Lyve Home, a $299 investment which not only backs up all those photos automatically, but gives you a touch interface to see and manage them right there on the device. And hey, there’s even direct sharing to Facebook and Twitter. Making it even easy easier to dig into your files for that very perfect #ThrowbackThursday pic. Hello Nicole! Good article thank you. Just an update, Lyve has decide to discontinue its service as of December 31st, 2016. 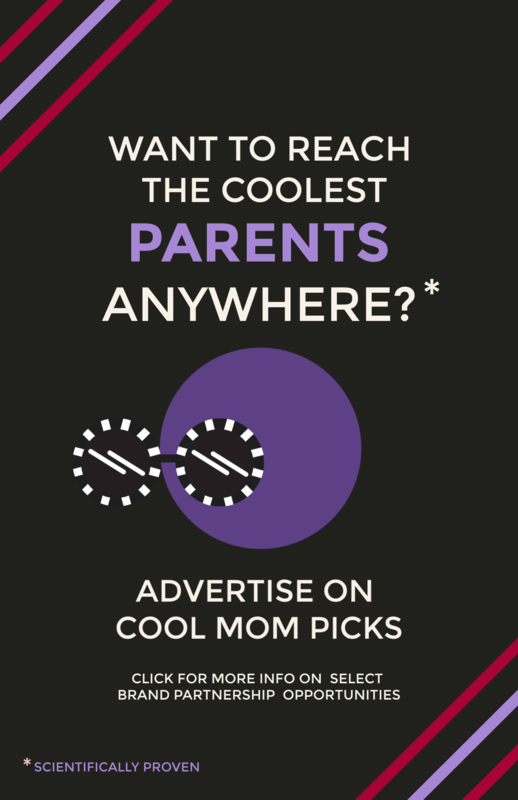 May want to let your readers know.